Please note that the free shuttle service is available at the following times: - From Monday to Friday every 20 minutes between 06:00 until 22:50 (except at 06:20) - During weekends every 20 minutes between 06:00 and 10:00 and from 18:00 to 22:00 Outside these operating hours, the hotel does not provide complimentary transport to or from the airport. The hotel looks clean and good but it has a an old amenities and nothing so special about it. It just a regular one, very close to the airport. Catering staffs is friendly and helpful. Easy check in and check out. Staff was fine and airport shuttle efficient. Extremely sad that you have to pay 25€ for Internet connection in end of 2013. I thought we were living in the digital age. This is my second return to this hotel, and I remain very satisfied with the hotel. 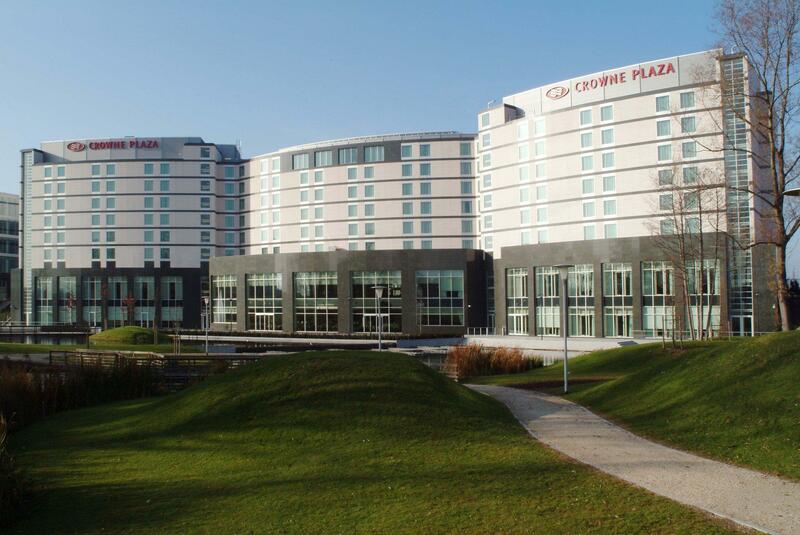 I would recommend Crowne Plaza Brussels Airport for everyone that loves high standard of room and services. 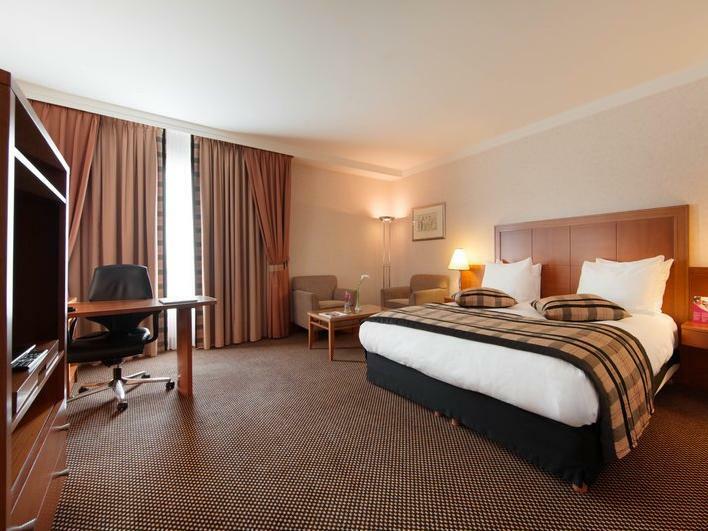 I will be back to this hotel again for my next business trip to Brussels, and I will also recommend this hotel to anyone who would like to stay over near Brussels National Airport. It is a very nice and green hotel with a very pleasant environment and a very nice park right there next to the hotel with a direct access. 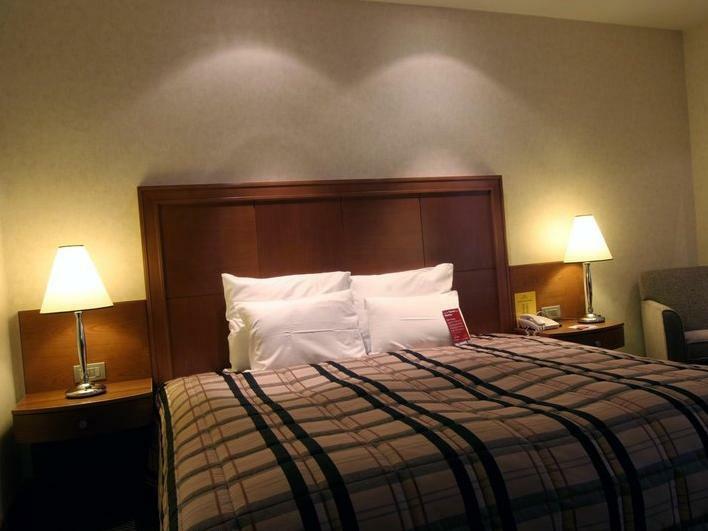 Comfortable room with every facilities and a very comfortable bed. Stayed only a day while waiting for our flight the next day out. Airport shuttle available but during weekend you have to call ahead so that they can call a cab for you. (shuttle only on weekdays). Very friendly staff. The zaventem village is about a 15 mins walk where you can find great food. Excellent location to the airport for next day flight. Lovely room, updated and well fitted, with both a bath and a shower. Good towels and linens, comfortable bed, and quiet. Highly recommend. the hotel was very clean, new-looking and had great facilities. the staff was very helpful and friendly. when i checked in, the hotel staff (i think her name was sariska?) even helped me to figure out the train schedule so that i could make a day trip to brugge and printed it out! it's the extra assistance which makes a stay here worth it! 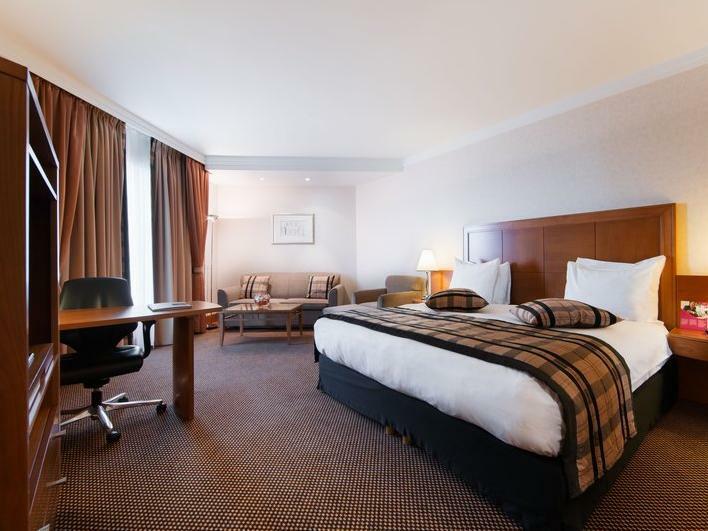 hotel is very close to the airport (about a 5 min cab ride) and a 15 minute walk to the train station zaventem, making it accessible for a day trip to brugges. The hotel has friendly staff who are very efficient at the same time, a rare combination these days. The room was squeaky clean and well appointed. TV offers many English channels. The only downside was the lack of WiFi in the rooms. 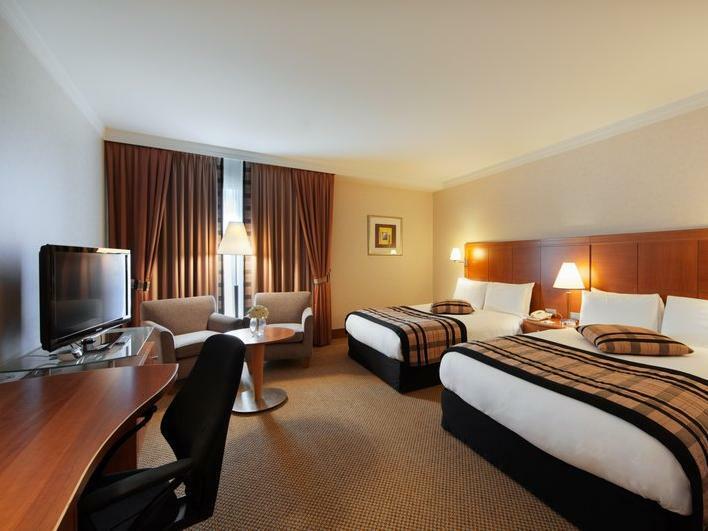 Rooms are spacious, clean, quiet and very comfortable. A hotel which definitely lives up to its star rating. This is the second time I have stayed here on a business trip and it would be my hotel of choice for my next visit. Ideal for an overnight stay at Brussels airport. Free airport shuttle on weekdays, free taxi on weekends. Friendly and helpful staff. The shuttle from the airport - needs to run ON time and more frequently. On this occassion the rate was under 100 euros and was thus good value, but the hotel does charge more usually. It's more than an aiport hotel and has plenty of local corporate guests for the offices close by. 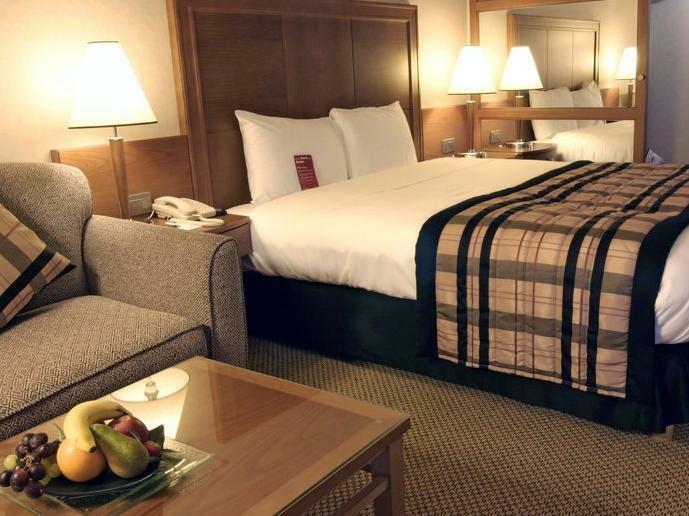 So you can expect more than your average airport hotel with transient passengers. Shuttle to hotel was running about every 45 minutes when I arrived, which left me waiting a long time.